With an export volume of 2,642,887 million units, Mexico was ranked in 2014 as the fourth largest exporter of vehicles globally. 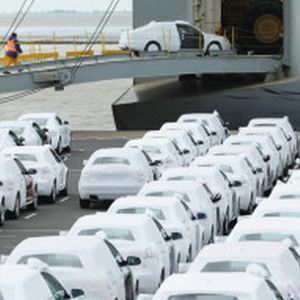 Just a glance at the statistics will let you see how the vehicles assembled in the country went beyond natural markets like the US, Canada and Latin America-and they're arriving to countries like China, Arabia and Belgium. China, the second largest economy in the world, already represents the sixth largest export market to Mexico. At the end of the first quarter of this year, China imported from Mexico 13,611 units of Dodge Journey models, Cadillac SRX SUV and Volkswagen's Beetle, according to the Mexican Association of Automotive Industry (AMIA). Arabia, the seventh importer, took 8.913 units of Nissan's Pickup, GMC's Sierra and Chevrolet's Silverado . Experts agree that trade liberalization promoted by the Mexican government since the 90s, has made of the country an attractive platform for producing and exporting vehicles with tariff benefits. Here are the 15 most popular models made in Mexico with high demand globally and the top 10 export markets.